At the UFZ you can commit yourself to securing natural resources and long-term opportunities for the development of mankind and ultimately contribute to sustainable development. Video "We at the UFZ"
The UFZ invests in its employees, providing them with excellent opportunities for development. The staff unit DEVELOP supports our employees by providing training and consultation for personal and professional development, in addition facilitating the development of UFZ organisational culture. The graduate school HIGRADE is an ideal support for PhD candidates. 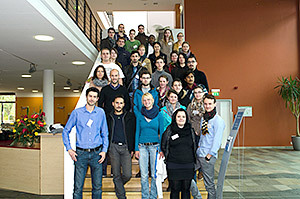 The UFZ has an internal training program geared towards developing researchers. There are opportunities to participate in internal training courses that focus on developing competences in methods, management and social competences. Language courses (mainly English and German as a foreign language) and computer courses are also given. Furthermore, tailor-made training programs are on offer for defined target groups as are programs for team-building skills. The UFZ has been repeatedly awarded for the quality of its training. 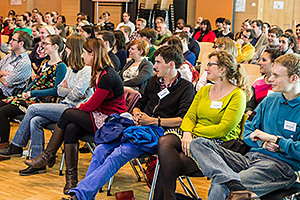 At the UFZ equal opportunity is not an empty slogan, but implemented on a day-to-day basis. We are not interested in the country on your passport, your social background, the gender that you feel you belong to or whether you are into an alternative lifestyle. What really counts here is your commitment and your performance. We employ people from every continent in the world and encourage equal opportunities for men and women in managerial positions. A work-life balance is something that receives our utmost support. Flexible working hours and parent-child workplaces are only a first step in this direction. We are working together with childcare centers (with nurseries) close to our premises in Leipzig and Halle to save families with small children from having to drive to other day-care centers or finding a place for their children at a nursery. At the UFZ flexibility is written with a capital F. We give our employees (not only our researchers, but also our employees working in administration und service) the flexibility to determine their hours of work. Our flexi-time system enables families to find suitable childcare for their children and the flexibility to start work at hours that suit their individual needs. Employees’ salaries are paid according to the payment scale of the salary agreement of the public service sector TVöD. For further information see www.bmi.bund.de. The UFZ carries out top level interdisciplinary research and boasts an excellent international reputation. The UFZ has excellent technical facilities, infrastructure and budgets, providing scientists with optimal conditions for their research work. Further information about the research that is conducted at the UFZ is available here. The UFZ is a member of the largest scientific organisation in Germany, the Helmholtz Community. Through projects and its work in numerous committees, it is able to benefit from excellent connections with universities and other extramural research centres as well as from connections in industry and politics. Our employees come from all over the world or work together with scientists in other countries. To make new employees feel immediately welcome at the UFZ and to help them settle in quickly we regularly organise welcome days for all newcomers. Welcome days are an integral part of the induction for new employees. The idea behind them is to help new employees adjust more quickly and easily. 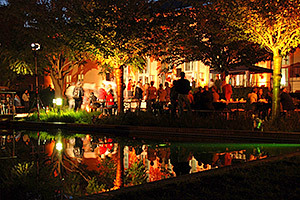 Otherwise, nice colleagues and a great atmosphere at work are waiting for you at the UFZ. Our three sites in Leipzig, Halle and Magdeburg offer great opportunities for your personal development. The region Leipzig/Halle and Magdeburg has developed over the last 25 years into a tolerant, multicultural and one of Germany’s most cosmopolitan regions. The UFZ itself also distinguishes itself through its high percentage of employees from other countries. 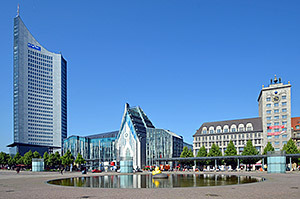 Augustusplatz, the University und the City Tower. Photo: Andreas Schmidt	With more than 560,000 inhabitants, Leipzig is the largest city in the region and particularly well known through Johann Sebastian Bach, the St Thomas church choir, the Leipzig trade fair and the Gewandhaus orchestra. Over the last twenty years this vibrant metropolis has attracted many artists and creative people. The New Leipzig School focusing on Neo Rauch is world renown. Spacious parks and the new Lake District to the south of the city are known for attracting people outdoors when the weather is nice. 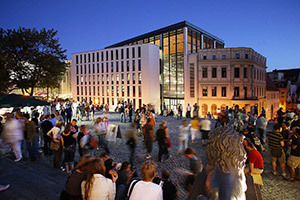 Leipzig is thought to be one of Germany’s most attractive cities to live in. Halle can look back at more than 1200 years of history and has a well-preserved old town center for enthusiasts of architecture. Lovers of classical music will not be disappointed either: Georg Friedrich Handel was born and grew up in Halle and Wilhelm Friedemann Bach (a son of Johann Sebastian Bach) was active in Halle for a long time. A trip to the salt works or the Halloren chocolate factory (Germany’s oldest chocolate factory) is also well worth a visit. Magdeburger Dom. Photo: Prinz Wilbert. Magdeburg is the provincial capital of Saxony-Anhalt with a history that goes back just as far as that of Halle. The city is idyllically situated on the banks of the River Elbe, which along with the former grounds of the national garden show and its millennial tower are very inviting for recreation and long walks. 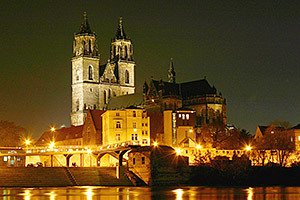 The Cathedral of Magdeburg is situated in the old city center and is the oldest Gothic building in Germany. The Green Citadel designed by Friedensreich Hundertwasser, the ship lift and the old city hall are among other sights worth seeing. At the UFZ in Leipzig we have a range of sports activities for you to choose from, including a well-equipped fitness room which is available to all staff free of charge. For those employees who prefer team sports, you can join one of the many sports clubs at the UFZ, including jogging, beach volleyball, climbing and football. There is something for everyone. Courses to improve your posture and fitness training are also available as part of the UFZ’s health plan. If you always wondered what your colleagues were doing research on, but never dared to ask, then this day is your perfect opportunity to ask. Some work groups even open their laboratories on this day and give you the chance to carry out your own experiments, ask questions and take part in discussions. 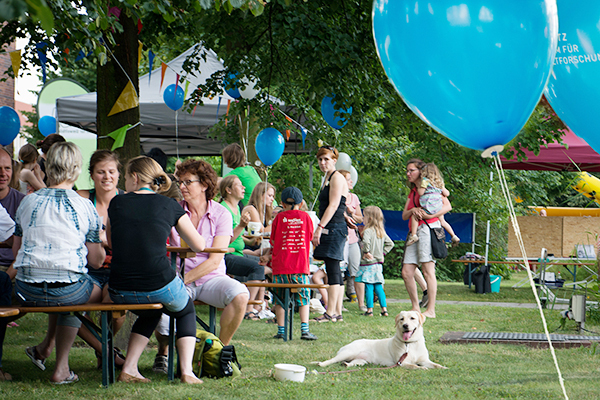 Employees day is complemented by our popular and almost legendary UFZ summer event. Whether the theme is the Middle Ages, Flower Power or the Olympics – this is a great time to celebrate together! Music, entertainment, children’s and sports activities guarantee plenty of fun for the entire family. Family and friends are more than welcome.